The security landscape continues to evolve in new and complex ways. Gone are the days where the term “access control” means a simple lock and key system. Access control, instead, conjures images of sophisticated, integrated systems with multi-layered security across multiple facilities. Organizations today face challenges from the adoption of new technologies, escalating security threats and the need to derive greater value from access control infrastructure, while solving increasingly complex system integration. This is no easy task, further complicated by the expansion of digital lifestyles and creation of a smart ecosystem of wearables. As security remains a critical front-line defense for organizations across industries and company sizes, what protective measures can businesses take today? Here are four key tips that companies should consider when implementing the next generation of access control systems. Yesterday’s technology is no longer sufficient for today’s access control and identity management challenges. Businesses need to upgrade their legacy access control system to enhance data privacy security – be it through the on-boarding of a client that requires high levels of security, new legislation being brought in for specific industries, or even new building tenants. The driver remains the same: enhancing and protecting data or building facilities that are currently exposed to risk. Integrated visitor management solutions are key. With improved access control solutions, businesses can track any movements within the organization. Implementing new, more dynamic access control technologies provides many benefits over maintaining older, more static ones. Benefits include improving the distribution and use of temporary credentials, while safeguarding various parts of sites to prevent unauthorized access. The concept of BYOD is common in today’s digital workplace. With employees using their own smart devices, businesses should consider integrating secure access control measures into employee smartphones or devices for access, instead of issuing additional key cards or fobs that risk a high chance of loss or theft. A single credential for multiple access devices might be today’s solution. Using Open Supervised Device Protocol (OSDP), this industry standard improves interoperability among access control and security products, supporting multiple applications across physical and logical access. By providing multiple access levels on mobile credentials, it saves the users time and complexity, reducing the risk of theft or loss across several devices. This works just as well with smart technology such as wearables, providing increased flexibility and freedom of choice for security managers and employees today. IT security breaches has included issues with printer security within the past 12 months, according to IDC. Most of today’s card issuance and licensing systems rely on two-dimensional identity validation. Digital components, including smart card chips or magnetic stripes, give ID card and license issuance systems the crucial third security dimension. With multi-layered credential validation and enhancement of existing printing facilities, access control systems will be strengthened. Sophisticated credential validation elements, combined with superior printing technology, will enable more trustworthy visual authentication to deter tampering and forgery. Higher-resolution images, holographic card over-laminates, and permanent and unalterable laser-engraved personalization attributes will make forgery and alteration virtually impossible. From printers, card materials and software, the highest security requirements can be achieved by incorporating critical visual and encoding technologies for the next generation of access control solutions today. 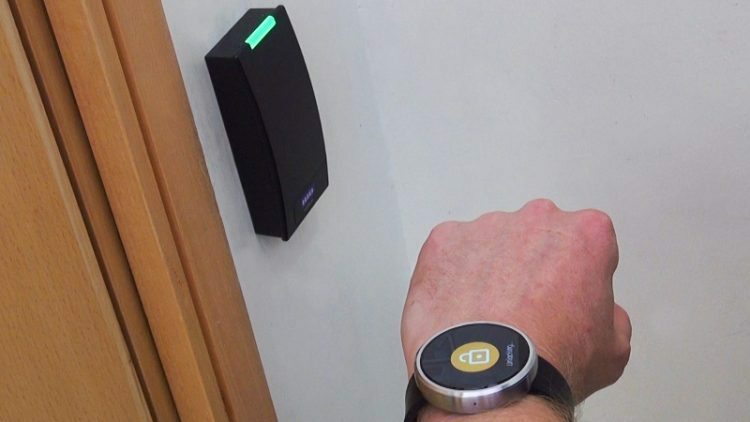 With these tips in mind, businesses can stay ahead of the ever-evolving world of possibilities in physical access control systems.